Today we shall hang bunting from the balustrade, blow up balloons on the beach, and parade along the pier. No more, for the present at least, must we respond to the call of, "Lance Hattatt, this way, please," which has become for so long now a part of our daily lives. Nearly nine months ago we faced a long and uncertain uphill road. Diagnosed with a very rare form of leukaemia, the future looked bleak, at best. Now, only hours ago, weeks of treatment over, the prognosis is good: no cure but full remission. To The Royal Sussex County Hospital, and particularly to the Oncology/Haematology Department, we owe an enormous debt of gratitude. The level of care received has been exemplary, the professionalism from Consultant to cleaner beyond excellent. Brighton should be proud indeed of its medical services. 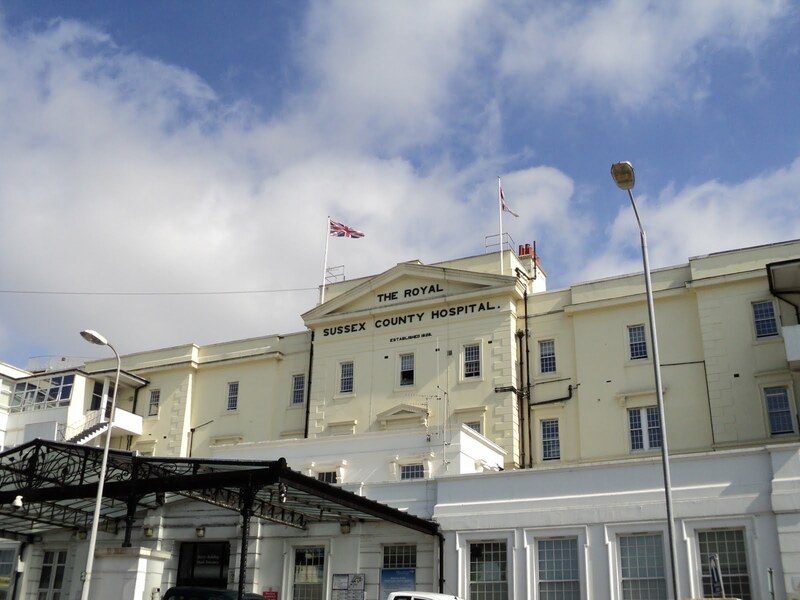 Built in 1828 The Royal Sussex County Hospital is distinguished on several counts. Designed by Charles Barry [1795 - 1860], later responsible for the Houses of Parliament, the original building, now woefully inadequate and disfigured, is named the Barry Building and is the frontage to much later C19 additions, including a Millennium Wing of 2000. But the jewel in the crown must surely be the hospital Chapel where, each Sunday when in Brighton, we attend morning services. Later than the Barry Building this appendix, for it is an awkward and precarious addition, is by the architect William Hallett and dates from 1856. Lit by a roof lantern the finely panelled walls glow with a seasoned warmth in the sunshine. Victorian stained glass reflects colour onto the marble chequered floor, whilst memorial tablets to former staff and patients recall a history of more than a hundred and fifty years. And now the hospital looks to a major rebuild at a projected cost of £400 million. Plans submitted to date will see the demolition of all of Barry's work as well as the Grade II listed Chapel. Protests at this act of vandalism are few, and largely go unheard. I've not had the misfortune to visit The Royal Sussex, but I do occasionally visit the eye hospital opposite. They squirt stinging stuff in my eyes, make me wait for about 15 mins, then get me to read one of those lettered eye charts. Something to do with diabetes. The service is also wonderful; I'd almost recommend it! Good News. May remission last for ever and a day. I wouldn't have guessed, by the bouyant, whimsical tone of your blog, that in reality you'd been going through such suffering. It's nice to know you have good news now, and can 'fly some balloons'...all the best to you both, Faisal. Yes, sad to say, that we have also been there too!! So pleased to know that you are also a satisfied customer of the NHS. Thank you so much for your good wishes!! Thank you for such a kind and thoughful message. We are firm believers that one cannot let these things get one down and there are always people in worse circumstances than one's own. Life must go on.....but, the party will indeed be amazing! Wonderful and joyous news about the remission, and shocking and depressing news of the impending demolition. Why must "progess" require wiping the slate clean of what came before and retains dignity and a beauty that once lost will be gone forever? It's an inspiration to hear of your remission. I wish you all the very best in the coming months and years. Yes, thank you, and now a full six months before the next hospital visit. We too are appalled that the whole site should be bulldozed, with what is good to be replaced with, at best, the mediocre which seems to be in most cases the hallmark of modern architecture. And, as you so rightly say, destroyed for ever. Your very good wishes are much appreciated. It has been a worrying time but we are now able to face the next six months free of hospital visits. Thank you so much for such a kind and generous comment. Yes, we did garden in Herefordshire for twenty-five years at Arrow Cottage. Sadly, we are told [reliably] new owners have removed and bulldozed everything to grow vines; we have never been back. I can't tell you how completely thrilled I am by this truly wonderful news. It moved me to tears! Especially as there was not even the tiniest little hint of anything amiss. You both have brought me so much in the short time that we have been communicating and I wish you both health and happiness for years and years to come. It's truly shameful when there aren't any funds to sustain beautiful architecture or historical landmarks. It seems that it happens all over the world, and it's very painful. We have both been enormously touched by the great kindness expressed in your comment. It is appreciated more than we are able to say. The past months have not been easy and at times we have become very low, but it is the sharing and reading of wonderful blogs like yours which have, again and again, raised our spirits. And now, no more hospital visits for six months! We completely agree. What is most depressing is that there is nothing visionary about the proposals for the hospital which would preserve the original parts of the Barry Building and the Chapel. But, as you say, it is the same everywhere. It is always a pleasure to read your posts, and I would have never suspected of your affliction. Congratulations on your good news and may you stay in remission permanently! It saddens me to see yet another beautiful building being destroyed and likely replaced by banality. Is the building not protected by Historic Preservation? I am so glad that you are well, and enjoying. Your Post, as always, is so delicate, and delicious. And the Chappel so beautiful. I can imagine your anger in learning that it will be demolished. How really kind of you. Your good wishes are very much appreciated. And yes, today is good!! Parts of the hospital are, in fact, protected as of historic interest but this is being ignored as it is said that it is too difficult to retain them in the plans for the rebuild. We find this very difficult to believe. What is the point then of preservation orders? Yes, it seems rather a reckless thing to do as hospital chapels are very much of a period. We doubt they will ever again be built. Such wonderful news about your remission, Lance! Long, long may it continue. I have a lot of fellow-feeling, since after 2 lots of breast cancer, I know all I too can hope for is remission, not guaranteed cure. I'm sure there are lots of good reasons for the majot rebuilding you speak of, but it's so sad when history and beauty are so readily sacrificied to efficiency. I hope the chapel at least can be savesd, as hospital chapels where they exist are profoundly valued by those who use them. What wonderful news for you both! All of your readers rejoice with you. I love to see your logo come up on my blog; you write so well and it is always so positive. How sad that the bulldozers will do their work on such beautiful architecture. Progress is not always for the best. J and L, I couldn't possibly comment but nods a little. It's amazing how bad the service can be. It pittered and pattered a bit, but those rain spots didn’t amount to much, which is good, although I’m sure my sprouts would like a little more. I suppose I’ll have to prance about with the watering can again this evening. Oh advice if you needed it, the spikey bit of a fork doesn’t make good friends with hosepipe! Congrats on the remission, that really is super news, well actually it's not, for I'd rather you not have anything to be in remission from in the first place. But, you have and do and therefore it’s great news. I have to say I’ve had large number occasions to visit various parts of the hospital, there’s the Claude centre ‘cross the road that has played host to my bum a number of times. Then of course there have been half a dozen or so visits to A&E (not for myself, visiting and bringing others) I rather like the mix and match of architectural styles, types and forms. It really is a mixed bag of buildings, each with pleasing aspects and delightful sights, yes even the nursing quarters over the road! Long may recovery and remission be yours. What a tough time you must both have had. May the good health continue, and the pursuit of blogging keep you buoyed and merry. Such good news! I feel very happy for both of you!!! How really kind of you. You will know only too well what it is like to have cancer and we are so very, very sorry to learn that you have experienced breast cancer. But we are heartened to know of your remission. We have been so supported by the love and prayers of so many friends during this period, without which it would have all been so much more difficult. We regret that the Chapel is also due to be demolished. But something new and good will come in its place for we have a wonderful chaplain. Thank you for such very kind words. We are so pleased to have discovered your blog which we much enjoy. The friendship in, [or is it on? ], the blogosphere is without bounds - metaphorically and, of course, literally. Wonderful !! I am so happy for you both !! We all went through something similar about a year ago, a close member of the family diagnosed with lymphoma and I do know that feeling of euphoria/relief/joy when the doctor says Go home and have a good life. A veritable essay for which many, many thanks. We really do think that it depends on the Department. Only this very evening a neighbour has given us a dreadful hooror story of the RSCH. C'est la vie, as we find ourselves saying frequently! No rain for you veggies. Next it will be the hosepipe ban and then....! Your good wishes are very much appreciated. Sorry to hear about the Chapel being demolished but remember to take as many photos as you can. I too have written today about the closing down of something that I have enjoyed visiting over the years, Something both you and I have no power over to change. Thank you so much for your very kind wishes. Yes, you are right, blogging is a great escape and a wonderful source of both support and amusement! Many, many thanks for your very kind wishes. I am so glad to hear of your good medical report. I, too, did not realize what you were going through. Your kindness towards me and my writing during your own trial is very much appreciated. I so hope they decide against demolishing the chapel. If so, I certainly hope they will incorporate the beautiful stained glass windows, particularly Christ, the Healer. Excellent news - absolutely the best reason to celebrate. I hope you do. But how appalling that that beautiful chapel is to be destroyed - I just don't get it. It makes no sense at all. Things like that make me so angry. Our local seafront has just been refurbished - at a cost of over £5 million (what they've spent the money is up for debate)- and some of the beautiful Victorian shelters were ripped out and replaced by the most peculiar, contemporary wooden affairs that look like oversized, geometric garden sheds. We can only stand and stare and wonder why. Your good wishes are so kind and so very much appreciated. Thank you for taking the time and trouble to comment. How really kind of you. There have been some very difficult moments but we are, hopefully, coming through. We are fairly certain the Chapel will be demolished but will, with others, try to preserve some of the features including the window of Christ the Healer. We shall be celebrating tomorrow evening when some very good friends have asked us to join them for dinner at an exceedingly good restaurant. Oh dear, your seafront! What is it with the planners when huge sums of money are spent to little, apparent, advantage. And will the replacement shelters last? We suspect not. Your good wishes and kindness are so very much appreciated and mean a great deal to us. You will, of course, have a very real understanding of what it is like, in the case of your close family member, to live with cancer. And, Candice, thank you so much for the very generous email which you sent. Now, do not worry about Pup for he is going to be fine. You are right. We must at least take many photographs of the Chapel so that it does not completely disappear off the face of the earth, so to speak. Maybe the money will run out before demolition begins! Such a relief...Get out the flags and bunting! How sad to think that fine building is due for demolition...it can't be right. Yes, most certainly a relief and, perhaps, we are still in something akin to shock. It does look very likely that the Chapel will not be saved, but perhaps certain features can be. Whatever, it will not be the same! I visited your garden twice, and fell in love with it. I find it hard to believe that anyone would destroy such a beautiful place. I can still see the water rill edged with terracotta pots of Agapanthus, and the delightful ochre coloured building at the end. That is most intriguing. We agree that many of the Victorian hospitals were, in their way, quite splendid. We know of two such 'asylums': one on the edge of Hereford, now largely demolished in favour of housing, the other outside Warwick which may, for all we know, still be there. It is hardly believable that this building is not listed. I'm so sorry that it is to be demolished. However, the rest of your news is a source of joy and thanksgiving. Rightly, you appreciate and enjoy your life and long may Lance's remission remain in full. How extraordinary that you should remember the garden and so very clearly. It seems very strange to us that it has all gone, but perhaps that is the nature of life with very little which could truly be considered permanent. We have thought that, in the not too distant future, we might do a post on it. It has been lovely to hear from you. Thank you for your comments. Oh Hattatts - how little about you I know to date, but you have brought me so much good news which makes me want to learn more. It is extraordinary that only the Chapel is listed and that clearly, in the greater scheme of things, counts for nothing. Thank you so much for your good wishes - we can hardly believe the news ourselves tonight. That is so very kind, thank you. Whilst we know little about you, our spies are everywhere and are reporting back!! I was stunned to read what you've been going through - as many have said, you have been so amazingly positive, interested in, and supportive to others. I'm so pleased that you had good news today. Have a wonderful evening tomorrow! Bad news about the demolition though - I hope someone sees sense and finds a better solution. Thank you so much for your kind wishes. Yes, we intend to have more than the one glass in celebration! The demolition looks set to go ahead with all in its wake to be raised to the ground. But, in these financially strained times, we wonder quite where all the money is coming from?!! Thank you for sharing your wonderful news here. May your days ahead be joyful! Excellent news!!! I would typically use such great news as an excuse for a great dinner or to acquire a lovely trinket, but I would just be equally happy savouring it in the comfort of chez moi....but at least pop open the bubbly! Remission! Such fabulous news! Please check my blog ;) for more on this. But so sorry to hear about the impending demo. There should be another way, but usually it boils down to dollars and cents--or pounds and pence (instead of sense)! I am pleased to hear of your good health news. I had no idea. I am less pleased about the demolition of the hospital. Completely mad. BTW, did you ever come across Edith Hope's blog? She no longer writes it, but she shared her time between Budapest and London, so you might know her from the former. Thank you for such a warm and generous comment. In more recent years there seemed to be, for a while, a reluctance to pull down the old in favour of the new. We now appear to be returning to the 1960s where everything and anything goes. Tonight we are out to a celebratory dinner with friends when, most certainly, champagne corks will be popped. Some trinket or other is not ruled out! We have been, instantly, to your blog. Oh, how WONDERFUL!! More about that over with you. We love 'cents' or 'pence' rather than 'sense' - an expression to be stored away and coined at a suitable moment! We completely agree it is madness. If we can put men on the moon, then surely it is possible to devise plans for a modern building which incorporate the best parts of an old. We see examples of where this has happened throughout Europe, then why not in the UK? Yes, we do know Edith Hope. She gave us the idea to start our blog and has helped us along the way. You are most encouraging. We will look and see what pictures we can scan and then, possibly, in a week or so..! Oh my dears, what a great relief it must be to hear the news of remission!! Congratulations. Please know that my thoughts and prayers are with you for your good health. Re: the news about demolition of great architecture and artwork is completely appalling. There are so many of beautiful monumental building in every city centre which have gone now. I think there are certain type of people [yes, you know them] who are always in haste to reach into the future by pulling down the treasured building like this. Yes, it is an act of vandalism. One day, they would regret for their misconduct but by the time, they realised what they've done, it would be far too late. How very kind of you. Your thoughts, prayers and words are much appreciated. It has, as you may imagine, been a very difficult and worrying past few months. The wholesale vandalism of so much of what is part of our heritage is too depressing for words. Look at the London skyline where all sense of scale has now completely disappeared. Had I known, I would have liked to send a big bouquet of colourful balloons because as Winnie the Pooh said: nobody can be uncheered with a balloon. Now I know, I'd just like to add my warmest good wishes to the host of greetings from your friends. And how lovely that would have been. But your kind words are even better and so much appreciated. Nothing better than good news. Hope the prognonsis will stay this way and you will keep blowing up those balloons. Much the same happened to us ths morning - complete disappearance of the blog and no access to the Dashboard. We think there was/is a problem with Blogger. Things are still not working properly. We have tried to leave a comment on your post of the wonderful bronze heads at Somerset House three times today. There has, we know, been a problem with Blogger but now the 'Comment' section refuses to recognise us!! Our Computer Expert has been summoned and should be here in an hour or so. Thank you. It has been a pleasure and we have much enjoyed your posts. We shall very much hope to see you here again. Meanwhile, have a very enjoyable day. Such happy news! Continued blessings of healing and health to you Lance...what a trial for both of you to have gone through, but I must say, even though I know there were many very, very difficult moments, it's so inspiring that your kind and gracious spirits stayed strong throughout this ordeal, we can all benefit from such an example...thank you. I'm once again at a loss of why glorious old buildings must be torn down without even a second thought...it's barbarian and so pointless. The chapel is so beautiful...spaces like these will nevere be replicated again and must be treasured, not destroyed. How will our youth ever learn to appreciate such artistry and craftmanship?! So sad, but at least it's beauty was able to be there as an extra dose of medicine for you...as I'm sure it was for countless others as well. Congratulations dear J & L!!! On another note, Glad to see a hospital service so great, and beautiful as well! A very inspiring and sweet post. Thank you for sharing! But dear, really suffer with you. To have such a serious illness is no bed of roses. I myself had a malignant skin canser and spend much time in various hospitals. Is now fully recovered thanks to the wonderful medical care. Very good and joyous news about the remission, and very bad and shocking news of the impending demolition. The people call that"progess". Thanks for this blospot " ça me touche au coeur"
Fantastic news about Lance, that really is wonderful. How sad to hear of plans to yet more institutionalised vandalism. Blogger, during their hiatus yesterday, seems to have obliterated my last post (the one dedicated to you), as well as the most recent comments left either by me or for me! I will repost my post to you ASAP! I am so annoyed! As someone mentioned earlier, I would never have guessed that anything other than the joy of living was also going on in your life. So very happy for you and may the remission last a long long lifetime full of more joy! Much love to you! Your kind words meana great deal. Thank you so much. And yes, it is very bad news about the wholesale demolition of the old hospital. Forgive the delay in replying on account of the problems with Blogger! How very kind of you to comment. We are, as you may imagine, overjoyed with the news. So far as we know there is no official protest group as yet. If one forms we shall, of course publicise it. Thank you so much but please, do not worry about it. We share your annoyance for we have lost eighteen comments but, at least, we have kept the post. Oh, the trials and tribulations of blogging and Blogger! Such very kind and thoughtful words for which many, many thanks. Forgive the delay in replying on account of the recent problems with Blogger which, we trust, are now sorted! Uphills are not good, but sometimes you can walk in the top of the hill... as i hope in this situation. I hope you get well, and recovery is constantly. in the meantime, all it takes is trust. i trust in recovery. lets enjoy the days, no mater what. have an nice weekend! This is such a nice comment and one which is very much appreciated. Thank you so much. And for today, all is well as we 'trust' it will continue to be. A hearty congratulations on the news of Lance's remission! Now it's time to celebrate! I don't know how I missed your blog earlier but chiming in a bit behind the time...but you know now as long as there is life it is never too late to share a kind word, to lift someone up, to celebrate something wonderful or to stand up against a wrong. So, celebrating your remission, sending a prayer for continued good health and having only now heard about this amazing place, hoping with you that more people come to their senses, find their voices and save some of this remarkable place. Aw, I didn't know that Lance was going through such a trial. What brilliant news though, that he has come through it. Marvellous pictures of the architecture by the way! Thank God for His gift to both of you! Dave and I are on a similar "journey", at times bone crushing weary, other times uplifting and all times daily and filled with "new normals". My prayer for you both are good days filled with wonderful memories and all the while, allowing God to give His strength, grace and mercy for the road. This is so kind of you. The relief is, as you may imagine, beyond bounds. And yes, in the way of celebration we were treated to the most wonderful lunch at the Savoy Hotel yesterday in London. We are more than touched by your very, very kind words. It has been a bit of a struggle over the past year but now, and for today, there is some light at the end of the tunnel. We shall not give up on trying to save the Chapel and the best of the Barry Building! There really is always someone worse off and we are just so grateful for this week's news of remission. We do live to fight another day, and we will!! Your kindness is so much appreciared. It is indeed through enormous friendship and the thoughts and prayers of so many that we have got this far along the road. And we intend to reach the end, and be on another! Our thoughts and prayers are with you both in whatever life presents. I've only 'known' you a short time but had no idea of what you had both been facing. I'm so happy that you've had this wonderful news! How really kind of you. It has been a difficult few months but we have come through it so far and the 'meeting' of such wonderful people as yourself has helped hugely on dark days. Thank you always for the lovely comments you share with me and, indeed, congratulations on the remission diagnosis!!!!! It just doesn't get any better than that!!! Together with your many followers I am shocked to learn of the journey that you have been through but delighted by the outcome. I am sure that the positive attitude to life that you display in your blog and your responses to fellow bloggers has helped to achieve this good result. We shall open a bottle of wine this evening and toast a happy future. The remission diagnosis is, as you may imagine, best news ever! Thank you so much for your very kind wishes. And, we very much enjoy reading your 'design' blog. What an exceedingly kind and very generous comment and one which, we assure you, is very much appreciated. Thank you so much. We have, of course, had some very dark days but now, and at least for the time being, the future looks to be very good. Indeed it is, and we are celebrating! And, as you say, sunny days ahead for us all. Mystic Meg has absolutely nothing on us! Say hello to the Tintoretto paintings in the Scuola Grande di San Rocco for us! Remission is good, my kidneys have decided to inhabit that happy no-man's-land too. Sorry the Chapel can't have remission. Your kidneys [oh dear, we are sorry} and my blood. We are both in good company. Yes, a pity that the same prognosis was not given to the Chapel. My first visit to your blog was only a few days ago. What a wonderful post to see first thing! Now I have to get caught up on everything. How very kind. We hope that you find things of interest as we do in what you write. It is rather amazing that from complete strangers whose only contact with each other is through the blogging world that such kindness comes. Already feeling that I actually know you I am so pleased with your prognosis. Having been a cancer survivor at the tender young age of 29 many years ago, I am with you! I'm very happy to read that you are in remission and that the prognosis is good. What a wonderful hospital chapel. The services must be so meaningful there. Blogger also seems to have demolished my comment to you as well. Treasure each day of your remission and long may it last! As to the beauty in old buildings, we never seem to prize that enough, unfortunately. Thanks for your interest in my story. Normal operations to resume once the floors are in and I appreciate your patience. So sad that this beautiful Hospital cannot be saved and used for something else. We so agree with what you say here about the friendship which exists amongst bloggers. Your own experiences of cancer will, we know, make you very aware of what it is like to live with this illness, possibly more so than others. But remission is a good thing and long may it last. Your kind comment is very much appreciated. Thank you. This is written shortly before we attend Sunday morning service in the Chapel! Last Thursday really was a difficult day with the collapse of Blogger and, like others, to begin with we thought that it must be our problem and not a general one. Panic! We very much look forward to your ongoing saga. Enjoy today. Yes, things are now slowly returning to normal and tomorrow sees our return to Budapest for at least a couple of months. We hope all is well with you and Pup today [we will not mention the computer!]. Whilst we see the need to rebuild and modernise the hospital, it seems such a pity that some of the original building, including the Chapel, cannot be incorporated into the new design. 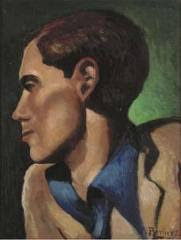 I'd wanted to stop back over at your wonderful blog after having been away and finally posting something of my own again, only to find that Lance had been ill; hadn't realized that, so sorry. But: All the more wonderful to realize you've had reason to celebrate!! :-) So although I'm very far down the list of well-wishers, here's sending you all the best for a bright and healthy-as-can-be future. Looking forward to more of your well-written posts, soon! As we are sure you may imagine, we have yet to take in fully the good news but nine months ago we could never dare think that we should be at this point now. Thank you for such a really kind, thoughtful and very generous comment. Who knows what the future is for any one of us, but today we are so thankful and tomorrow we are able to go home, at long last, for an extended period in Budapest. Thank you, Linda, for such a very kind and heart-warming comment. We were both very touched by your words. We are now back in Budapest and Timea, our housekeeper, gave us great hugs and a delicious supper as a welcome! There will certainly be lots more posts to come as both Budapest and Brighton are full of interests which we can share. Yes, one day, a post about Arrow Cottage, our garden in Herefordshire is a must. Such wonderful news and long may it last. What a relief it must be for the boh of you. 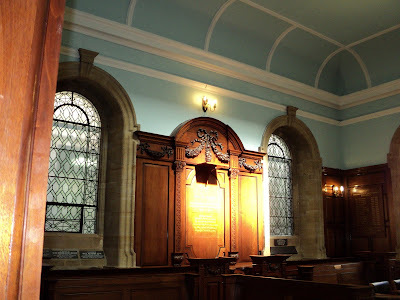 This hospital is a wonderful example of early 19th century architecture and the chapel is beautiful, it would be terrible to lose this in any 'rebuild'. I'm pretty sure your protests will be heard loud and very clear! How really kind of you, Jeanne. Your comment is very much appreciated and we are both being very positive about the long term. Yes, we cannot understand why the best parts of the old building, the Chapel included, should not be incorporated into the new design. However, at the moment no-one seems to be producing the £400 million for anything!! Dear Jane and Lance, that's wonderful news! It's great to hear a positive story about our health service. The NHS does, it seems, all too often receive a very bad press. Our experience has been nothing but positive, particularly in the Haematology/Oncology Department of The Royal Sussex. Long may it be so! Just found you through The Gardener's Cottage. Inspirational, is all I can come up with. I'm a fan. How very kind of you. We do so hope that we shall welcome you here again. Great news about the remission of the leukaemia. I hope it becomes a permanent one. They certainly don't make hospitals like that anymore... Rather than demolish and upgrade, why not preserve the old hospital as medical/hospital museum and build a brand new one elsewhere? Thank you so much for your good wishes. At least, for the moment, we have beaten the leukaemia and we are not going to give up! Your suggestion for the hospital is an excellent one but we imagine that 'they' would argue that there is no other suitable site. Have 'they' looked? Oh my goodness, you've had so much to contend with. What a worry but I'm so pleased that the leukaemia is in remission, and long may it stay that way. What a beautiful old hospital to visit. Having seen the inside of many hospitals over the years, I'm sure the trips would be more bearable if I had somewhere so grand and exquisite, rather than the dreary, 60's soulless shells that I'm used to. I'm so pleased you found my blog. It's super to make your acquaintance and I look forward to a long and happy cyber friendship. We are, of course, delighted that the leukaemia is in remission and can start to live a more normal life again. Oh dear, poor you, with so many hospital visits - always rather depressing at the best of times for somehow they can never, for whatever reason, appear particularly uplifting. And they all seem to use the same paint colours!! Thank you so much for becoming a Follower. We too look forward to a cyber friendship. Congratulations on what will (fingers-crossed) prove a valiant and enlightening recovery for Monsieur Lance. May you both bask in the simple pleasures of togetherness. What a very heartwarming and generous comment and one which we so appreciate. Thank you very, very much! And thank you too for becoming a Follower. Jane and Lance, I think "remission" must be one of the most beautiful words in the English language. Wishing you a spring of endless possibilities and much happiness. It's painful to read about the proposed demolition. I can only hope the newly acquired space will bring hope and health to many. This is so very kind and generous of you. We appreciate what you say here so much. Thank you. Yes, in the long term a new hospital is needed. It is just such a pity about the old buildings. At last! Your very kind and helpful comment was restored this morning [21-05-11]. Thank you so much but, of course, we have been in touch since you wrote it!! I was worried you might have lost all of these treasured comments through the blogger fiasco...so happy you didn't and that they all came back, I had only one that didn't return, though it wasn't nearly as important as these caring messages. It is so kind of you to be concerned. And yes, this of all posts was one we were glad to see reappear! I wept as I read your last post, and weep even more now with relief as I read this one. In a week, you have become dear to me, with merely a string of kind words. May God's most profound blessing, that of His presence, be with you every moment. If I could, I would bring you a pot of daffodils to place near your lovely herb garden or your crazy heron-- they signify rebirth. We cannot begin to express to you how touched we are by your kind and thoughtful words. They have truly brought tears to our eyes. But, and this we sincerely believe, it is through the kindess and prayers of people such as yourself, that we have been able to arrive at the point we have reached. Not for one moment in all of this have we felt alone. From the bottom of our hearts, we thank you. More than a year behind, I am slowly catching up as time allows and I'm reading this post with shock and thankfulness! My stepdad (English, by the way - he's one who fostered my extreme Anglophile-ism) has been through this also. He's doing very well now, but I remember the fear and dread of the next test. Thinking of you! It is so very kind of you to bother to read and comment on these older posts. We are so sorry to hear that your stepfather has also had to have treatment for this wretched illness and are so pleased to learn that, touch wood, he is doing well now. Every six months a visit has to be made to the Royal Sussex but that has to be got used to for it is for all time.